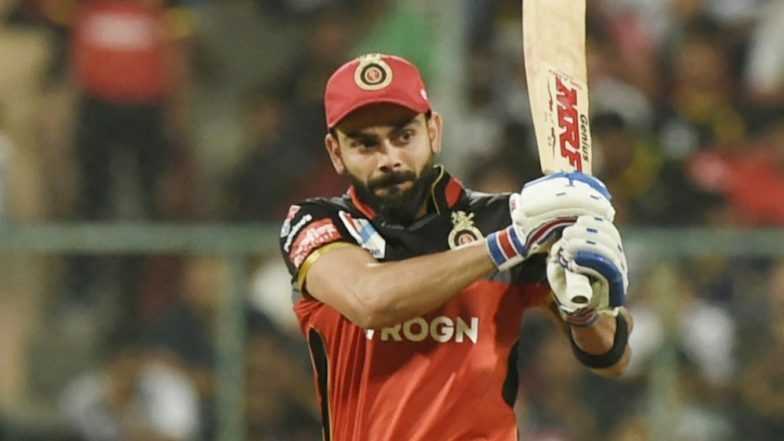 Mohali, April 14: Royal Challengers Bangalore (RCB) captain Virat Kohli has been fined after his team maintained a slow over-rate during their Indian Premier League (IPL) match against the Kings XI Punjab (KXIP) here. As it was his team's first offence of the season under the IPL's Code of Conduct relating to minimum over-rate offences, Kohli was fined Rs 12 lakh on Saturday. RCB beat KXIP by 8 wickets | Kings XI Punjab vs Royal Challengers Bangalore Live Cricket Score 28th T20 Match. Bottom-placed RCB finally ended their winning draught in the ongoing season as Kohli's scintillating 53-ball 67 followed by AB de Villiers (59* off 38) and Marcus Stoinis' (28* off 16) fruitful knocks guided them to a thumping eight-wicket victory over KXIP at the I.S. Bindra Stadium.